India, ranked among the bottom five nations in the global Environmental Performance Index (EPI) list released in January 2018, has moved down 36 places in two years. Multiple studies conducted recently have shown that India is dealing with an environmental crisis. Bengaluru’s lakes often catch fire because of the waste and untreated sewage dumped in them. The government does not appear to be worried about India’s poor showing in environment protection. The minister for environment, forests and climate change (MoEFCC) Harsh Vardhan has dismissed them as “just rankings”. Citizens seeking redressal of environmental grievances have therefore turned to the judiciary, notably the National Green Tribunal (NGT), which was established as an act in Parliament on 18 October, 2010. A law graduate from Delhi University, Dutta, 43, started pursuing environment law in 2001. His first case was against Vedanta, the mining company, where he represented the Dongria Kondh tribals seeking a ban on bauxite mining in the Niyamagiri hills in south-west Odisha, considered sacred by local communities. 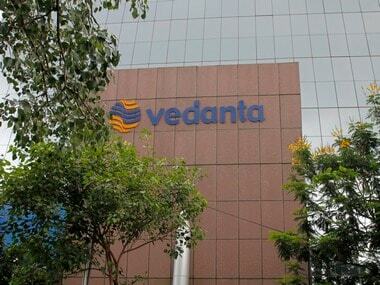 Dutta has, since, taken on cases against other mega mining projects too–the Rs 9,000-crore Polavaram multi-purpose irrigation project in West Godavari district of Andhra Pradesh and the Lafarge lime mining project in Mandi district of Himachal Pradesh. Dutta also fought for the Ratnagiri farmers whose mango orchards would have been affected by JSW’s thermal power plants. 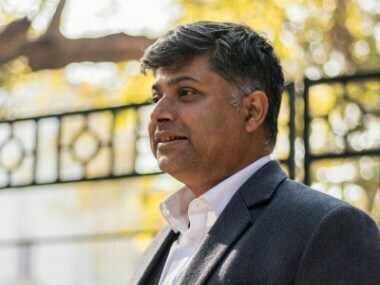 In 2005, Dutta co-founded the Legal Initiative for Forest and Environment (LIFE) with another environment lawyer Rahul Choudhary. Two years later, they set up the Environment Impact Assessment (EIA) Resources and Response Centre, which provides an accessible database on EIA reports–known for being subjective and fraudulent–along with a critical analysis. In an interview with IndiaSpend, Ritwick explained the collapse of green governance in India, how the current government is diluting environmental safeguards and how the NGT is being weakened. Recent studies have shown that India ranks among the bottom nations in environment performance while it tops the world in environment conflict. What explains this crisis? One way of looking at this is that the level of reporting of conflicts is high–unlike say in China–and also because the system allows you to raise your voice. Having said that, India is witnessing a high level of environment conflict across the landscape. One reason is that, in absolute numbers, more people–250 to 300 million–in India are dependent on natural resources than any other country in the world. Our people depend on forests, wetlands, seas, rivers, grasslands, mountains for their livelihood and sustenance. And all these ecosystems are under severe pressure. The Himalayas are set to have the highest concentrations of dams in the world, so states like Himachal, Arunachal and Sikkim are fraught with conflict over water, and dams (with consequent displacement and loss of forests). In central India–Chhattisgarh and Jharkhand–the takeover of land for mining has communities up in arms; Goa is taking to the streets against the plans to transform it into a coal corridor. 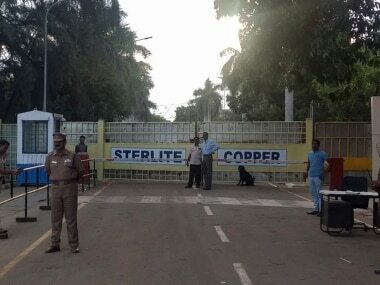 Tamil Nadu–and indeed across the country–there is a war over sand–with officials, reporters, environmentalists being killed and harassed for taking up the (issues of) sand mafia/illegal mining. Add to this the fact that India’s forests are under very severe pressure. Between 2014 to 2017, 36,500 hectares of forest land were diverted for non-forest purposes like mining, highways, industry, and so on. This works out to an annual average of 12,166 hectares, or the equivalent of 63 football fields every single day. This does not include the encroachments. Thirteen of the 20 most polluted cities in the world are in India. The Yamuna–flowing through India’s capital–has 16 million faecal coliform parts per million (PPM); the standard is 500 PPM for potable water. Even the flush in your toilet might have cleaner water. So we don’t just have an environmental crisis, but the government is in denial as well. Isn’t the government exaggerating the crisis by diluting regulations that safeguard the environment and according clearances in forests? How does the current National Democratic Alliance (NDA) regime compared to the previous United Progressive Alliance (UPA) government? As far as the number of environment clearances accorded (is concerned), the rate has been consistently high, over 90 percent, pre- or post-2014, UPA–II or NDA-II. But in the UPA era, the MoEFCC at least took some proactive measures for conservation. For example, there was a moratorium on industries in critically polluted clusters, and an initiative to identify and protect some eco-sensitive areas of the Western Ghats. It did not reach its logical conclusion, but at least there was an effort. 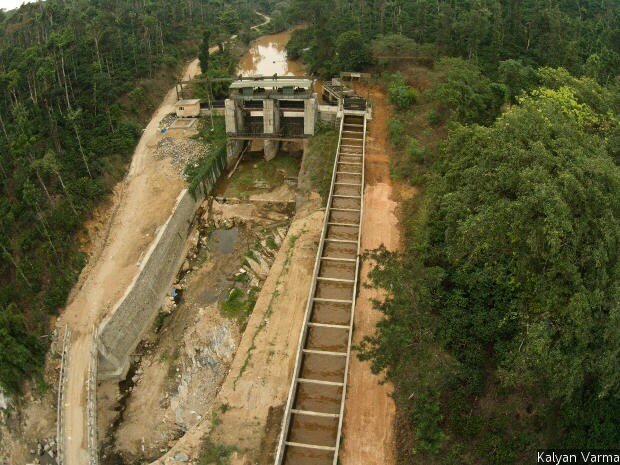 A few detrimental projects like the Neutrino Observatory on the buffer of Mudumalai Tiger reserve were halted. And, of course, the National Green Tribunal Act, 2010, was passed in the Parliament. From 2014 onward, you won’t find any activity or project stopped on environmental grounds, or even one initiative taken for environment protection. There isn’t even a dedicated minister–Prakash Javadekar, who held the portfolio earlier, and current incumbent Harsh Vardhan, are part-time ministers. Governments say that they balance “environment and development”. Where is the balance? Balance is when both sides are equal, not when there is almost 100% approval. Instead, you have a ministry which considers clearing damaging projects in national parks and sanctuaries as its achievements–a document uploaded on the MoEFCC’s website lists as its initiatives and achievements that the NBWL approved 400+ projects between 2014-2017. Can you elaborate on specific moves by the current regime that dilute environmental regulations? The National Waterways Act, 2016, intended to convert rivers into highways–with heavy traffic of cargo ships of coal, oil, chemicals–was passed by the Parliament, overruling other statutory processes. The government is not seeking environment approvals for bulk of the waterways. The Wetlands (Conservation & Management) Rules, 2017, are more of a framework to legalise wetland destruction. It fails to cover 65 per cent of the total area identified as wetlands, disbands the National Wetland Regulatory Authority, waters down the definition of a wetland, and has done away with the requirement of an environment impact assessment. The task of granting mining approvals has also been relegated to the district level, to a committee which will have the district chief engineer of the irrigation department as the chairperson and the mining officer as a member. The District Environment Regulation Authority is to be headed by the district magistrate whose job is to increase revenues. It’s like asking the fox to guard the chicken. It has granted general approval–which means each project won’t be assessed individually–under the Forest (Conservation) Act for clearances in forest areas that are within 100 km of the Line of Actual Control. Isn’t the Waterways Act, and the big dams, a contradiction of one of the government’s flagship priority schemes–Namami Gange? Yes, it is a serious contradiction. But before we get into that, I would like to bring up another point. When the new government came to power, one of the first things it did was to give the water resources ministry a new nomenclature–ministry of water resources, river development and Ganga rejuvenation. The message here is that Ganga is to be rejuvenated, but other rivers may be tapped, dammed, developed. That they will be viewed only as resources, not rivers. What it is essentially doing is making a class and caste discrimination between rivers, where Ganga is an upper-caste river in comparison to others which are lower-caste rivers. Brahmaputra, Teesta, Narmada, Cauvery–all suffering from pollution, reduced flows etc–other rivers don’t figure in its rejuvenation projects. 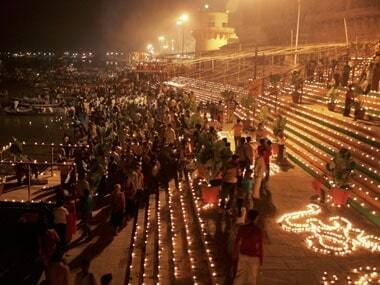 So we have a Ganga-obsessed ministry; yet, there is no concrete action to protect the Ganga. The main emphasis within this programme is on effluent treatment plants, likely as they are easy to set up. There is little talk of ensuring the flow of the river, which is essential for the flushing action to clean the water, and maintain the ecosystem of the river, support fish and other aquatic life like dolphins, gharials etc. But for a river to have a flow, you need to rationalise and stop dams, and no one wants to do that. But don’t we need dams for power? About 300 million Indians don’t have access to electricity. It’s not about power. There is a nexus around the construction of dams–the contractor, construction, procurement of steel, cement etc–and that is the driver. According to the NITI Aayog report, we have already reached surplus as far as power is concerned. Every single day, India has 3,000-4,000 MW with no takers. The Central Electricity Authority has itself said that there is no need for a power plant for the next 10 years. Yet, we continue to commission power plants. In September 2017, a 1,600 MW power plant–incidentally Adani’s–was approved in Jharkhand’s Godda district. It will destroy forests and multi-crop fertile land, only to sell its entire electricity produce to Bangladesh. There is immense unrest among the local farmers who do not want to give up their land, and because of the resultant pollution and falling water tables. Yes, about 300 million people in India don’t have access to power, but it’s because there is no last-mile connectivity. We are in a situation where we may have 1,000 MW surplus power but no distribution for that last village which has 30 people. What you need here is a wind or solar that will take six months to set up, rather than a hydro- or thermal power plant which will be established only in eight to 10 years. But we will still invest in that mega power project with the long gestation period at the cost of one whole generation going without electricity. Who are these power plants serving? Not the people who are still deprived of electricity. When we talk of protecting an elephant corridor which is being blocked due to, say, a power transmission line or a power plant, people say ‘but India needs power’. But we don’t, we have excess of it, but don’t have access to it. The real issues are bad management, distribution failure, transmission losses, inefficient plants–but (we) are not addressing these, or investing here. There is also an effort to undercut the NGT? The NGT is being hollowed out. The NGT Act requires the tribunal to have 40 expert members. 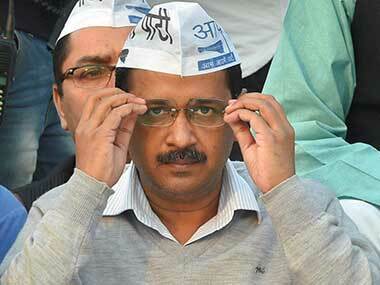 It had about 20 members when it started in 2011 in its one Delhi bench. Now, it has only five members. The NGT benches at Bhopal, Chennai, Pune and Kolkata are non-functional because of lack of quorum. The Chennai bench has closed down because it doesn’t have even one member, while Kolkata and Pune have only one judicial member. No judgement has been passed in Kolkata since December 2017. It is not just about numbers. The tribunal hears matters on a range of subjects–pollution, toxic waste, pesticides, forest destruction etc, and to function effectively, it needs members with specialised expertise. For instance, one major issue the Delhi bench is hearing currently is to do with PM 2.5/PM 10, where forest officers–the only expert members it has–are out of their depth. The result is that cases are being delayed, from hearing 80-90 cases a day, it can now hear only about 10. This defeats the very purpose of the NGT which was to provide expeditious and speedy justice. The law requires that every matter should be decided within six months. Not filling the vacancies is a very deliberate action on the part of the government to ensure that this institute is made non-functional and dysfunctional. In its response to a petition, the Delhi High Court in August 2017 asked the government whether it wanted to wind up the NGT. Another very damaging move was The Finance Act, 2017. It changed the process of appointment of its members by an independent committee to one that is decided by the secretary, MoEFCC. It also provided the MoEFCC power of dismissal and other service conditions, thus making NGT subservient to it. Remember, the NGT questions decisions given by the environment ministry and holds them to task for non-compliance of laws. Fortunately, it has been challenged in the Supreme Court. Another concern is the systematic process to dilute and dismantle the environmental law structure, which was first attempted by the high-level TSR Subramanian committee in July 2014. The report was stuck down by a parliamentary committee, but the process to weaken and subvert the law is ongoing. Can you give an example to illustrate this? A December 2016 MoEFCC notification called for integrating environmental concerns in building bye-laws, as the building and construction sector is a major pollutant and contributor to greenhouse gases. Yet, the same notification removed all environment laws–the Air (Prevention and Control of Pollution) Act, the Water (Prevention and Control of Pollution) Act, Environment (Protection) Act–and also dismissed the need for an environment impact assessment for the construction industry. So, no project can then be challenged on environmental grounds before the NGT. The government explained that the new amendments were in order to improve the environment and to ensure ease of doing business. Another purported objective was to provide for affordable housing, and help the poor. But the notification applied to multiplexes, commercial complex and hotels. This amendment is absurd since it comes at a time when urban infrastructure is set to increase more in next 10 years than it did in the last 50 years. The notification was challenged in the NGT. In its judgment, which quashed the notification, the NGT said that this is actually a ploy to help real estate sector under the guise of providing affordable housing to the poor. It also pointed out that the ease of doing business cannot come at the right of life and right to environment. So do you believe the NGT is being obstructionist, stopping big projects and development? Not true. Contrary to the myth that the NGT strangulates growth, there are very few instances where the NGT has quashed a decision taken by the MoEFCC. In NGT’s entire history, the total number of projects it has stopped do not exceed 10, six of which have managed to get relief from the Supreme Court. In the same period, the government would have approved some 100,000 projects. As per our analysis, in 2017, the government gave about 10,000 forest approvals, and stopped only three, of which two have a forest area of less than three hectares. The reason the government is intent on expunging the NGT is not because it is obstructionist, but because it enables the public to question the inaction of the government, and holds it accountable.